Hang on to your fronds! Emmet ventures to another universe in the brand new trailer for the big-screen animated adventure The LEGO Movie 2 from Warner Bros. Pictures. 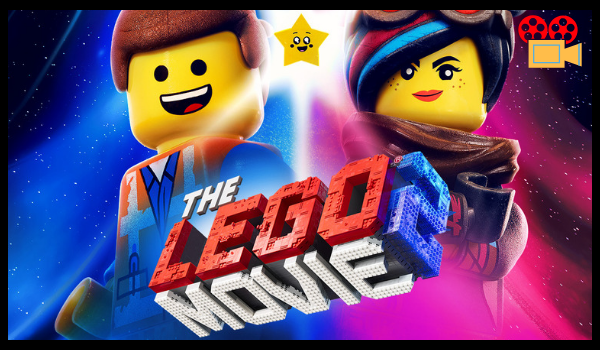 Check out the trailer below and watch The LEGO Movie 2 in Philippine cinemas February 13. The much-anticipated sequel to the critically acclaimed, global box office phenomenon that started it all, The LEGO Movie 2: The Second Part reunites the heroes of Bricksburg in an all new action-packed adventure to save their beloved city. It’s been five years since everything was awesome and the citizens are facing a huge new threat: LEGO DUPLO invaders from outer space, wrecking everything faster than they can rebuild. Reprising their starring roles from the first film are Chris Pratt as Emmet, Elizabeth Banks as Lucy (aka Wyldstyle), Will Arnett as LEGO Batman, Nick Offerman as Metal Beard, and Alison Brie as Unikitty. They are joined by Tiffany Haddish, Stephanie Beatriz, and Arturo Castro as, respectively, new characters Queen Watevra Wa-Nabi, Sweet Mayhem and Ice Cream Cone.